WARN Company never stops at what has already been achieved, which makes it one of the best winch producers worldwide: Having presented new Powersports winch series for ATV and Side x Side called ProVantage and Vantage, Warn has proved its intention to move forward always. 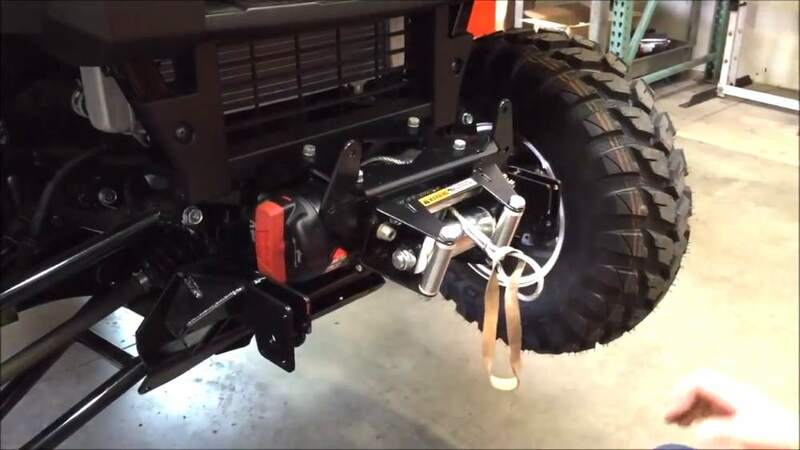 These series replaced the RT and XT winches designed for ATV / UTV. Vantage in English means an advantage and this is the essence of the new series we are going to look at. 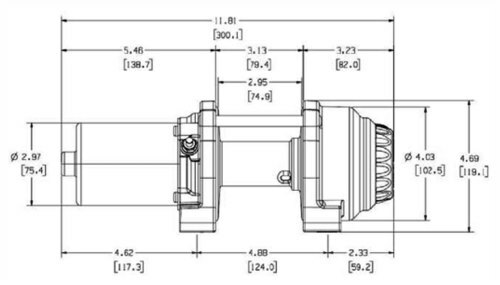 A new series of winches ProVantage from the American company-manufacturer WARN is represented by models with the pulling capacity from 1134 to 2041 kilograms. ProVantage is the leader in its class of winches. 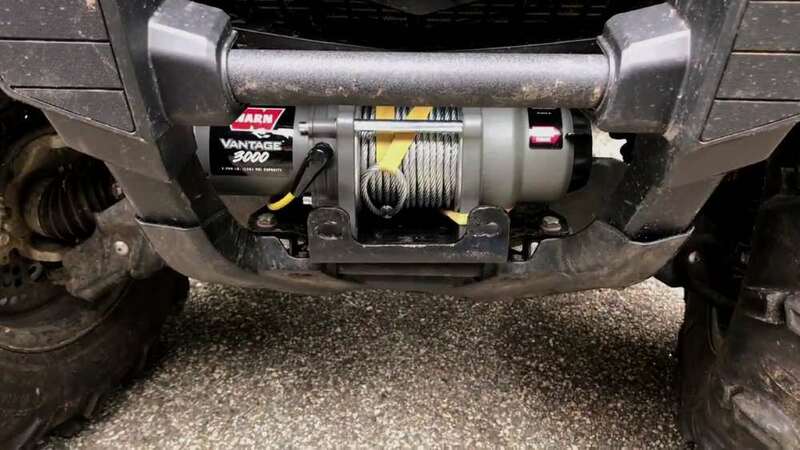 If you are looking for a reliable winch for your ATV you won’t regret giving preference to WARN ProVantage winch series as they are powerful enough to get you through anything. 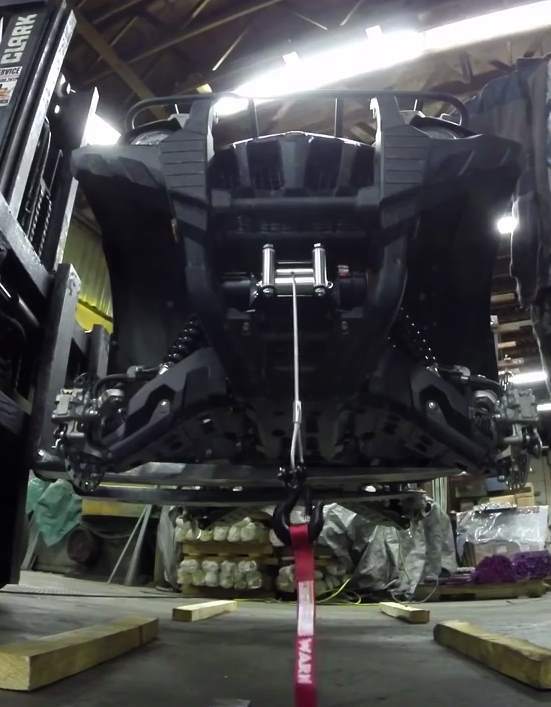 Despite their lightweight, they are the most powerful winches that have ever been produced. All models of this series, except ProVantage 2500, provide you with a possibility to operate your winch either on or off of your vehicle. Having produced ProVantage winch series, WARN has introduced leading winch specifications able to boast with the exceptional performance. This winch is definitely a great choice for owners of small ATVs as this workhorse with a pulling force of 1134 kg is equipped with components of excellent quality and is great for pulling a stuck ATV or dragging heavy loads on a construction site. Ease of use, powerful electric motor and all-metal body make this winch a leader on the market. This model is a winch for ATV of premium class, for those who appreciate uncompromising quality and reliability. The economic motor on permanent magnets. The winch is equipped with two consoles: a button on the steering wheel and a wireless remote control. Brake – disk, a unique development of WARN. A steel 15-meter cable (diameter 5 mm) and roller guides are included. At maximum loads, the current consumption is not more than 220A, and the winding speed is from 1.8 m / min. Metal screeds are painted, and free unwinding is turned on by the side rotary switch. 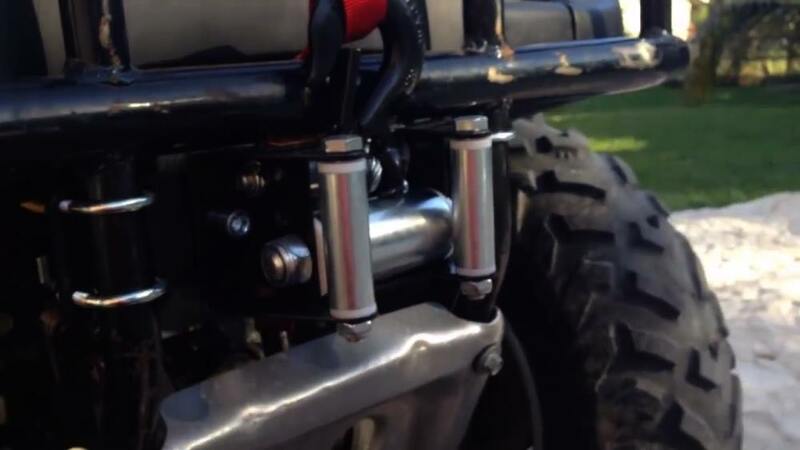 Winch for ATV and UTV WARN ProVantage 4500 has been designed for heavy UTV using the best components. When it comes to towing a heavy ATV, you definitely need extra power and this winch has this power in abundance. ProVantage winch series presents premium winches for ATVs, pulling capacity of which is from 1134 kg (ProVantage 2500) to 2,041 kg (ProVantage 4500). There are two versions with a synthetic and with a steel cable. In addition to the mini-switch on the steering wheel, they are equipped with a wireless remote control (Wireless Control System). 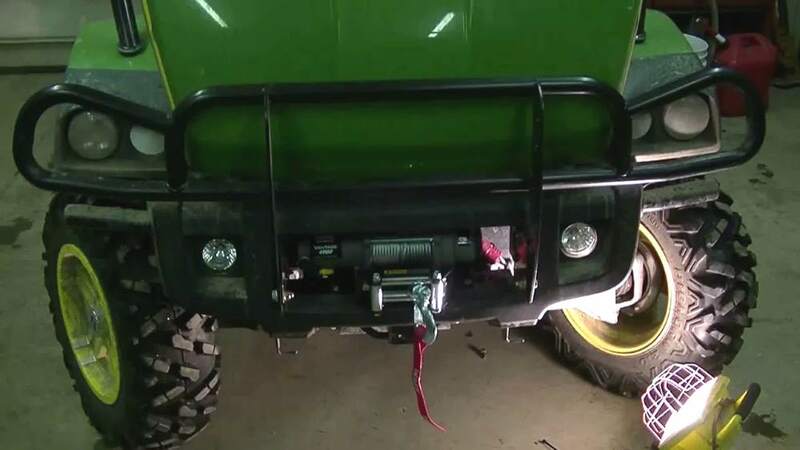 This series uses the latest inventions of Warn engineers and the most high-quality parts, which in turn makes it the most reliable winch for ATV and Side x Side. The Vantage series winches are considered workhorses at a reasonable price, pulling capacity of which are from 907 kg (Vantage 2000) to 1814 kg (Vantage 4000). Here you will also find two variations of winch models: those that have a steel rope and winches with the synthetic rope. 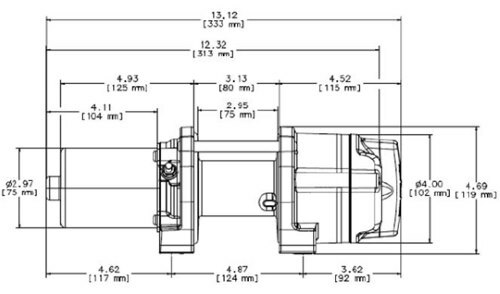 Vantage winch series is the best offer in the market for the price-quality ratio. Vantage winches offer to enjoy power and reliability in any circumstances. You will find everything you are looking for in a solid lightweight construction of Vantage winch for ATV and Side x Side: fast and quiet pulling power, reliable planetary gear train, corrosion resistant finish and other advanced technologies. 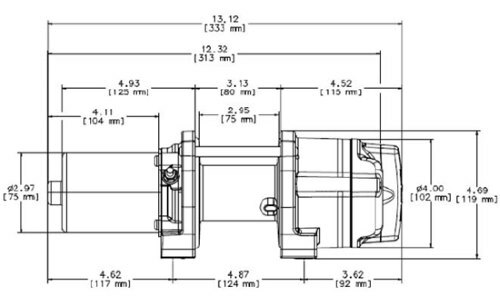 This is an electric winch for light vehicles with a pulling capacity of 907 kg. The electromotor and reducer are hermetic. Works from the network 12V. The electromotor on permanent magnets in cooperation with the planetary mechanism provides 1.7 m / min of wire rope. In the factory set, there is a steel cable (15 m x 4 mm) and roller guides. For control, there is a switch mounted on the steering wheel of the vehicle. 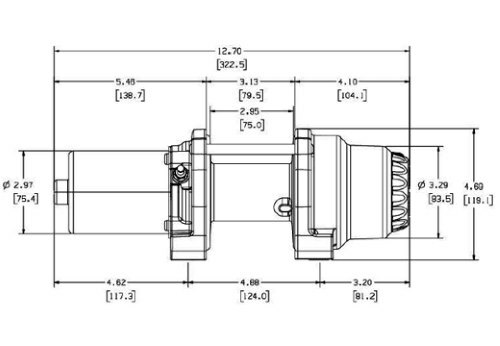 The inclusion of free unwinding of the cable is a side-turn switch made of durable plastic. Drum – steel, width 7.4 cm. 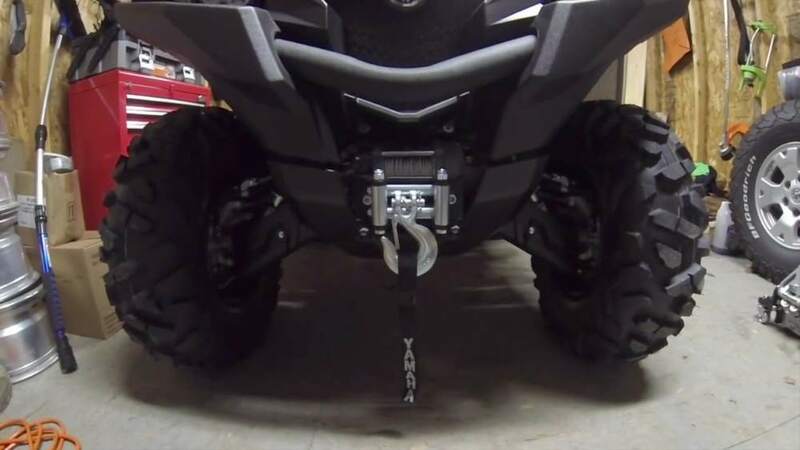 Winch for ATV and Side x Side WARN Vantage 3000 is an excellent choice when you need much power for a reasonable price. A powerful electric motor and a pulling force of 1361 kg will allow you to easily cope with any task. 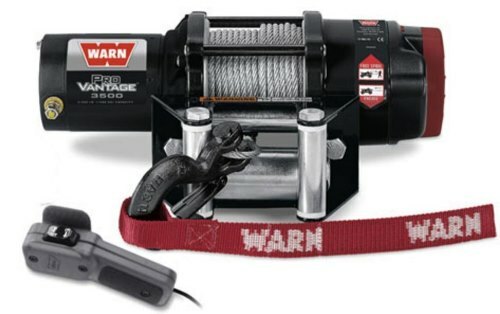 WARN Vantage 4000 has a powerful pulling capacity and long cable designed especially for Side x Sides. 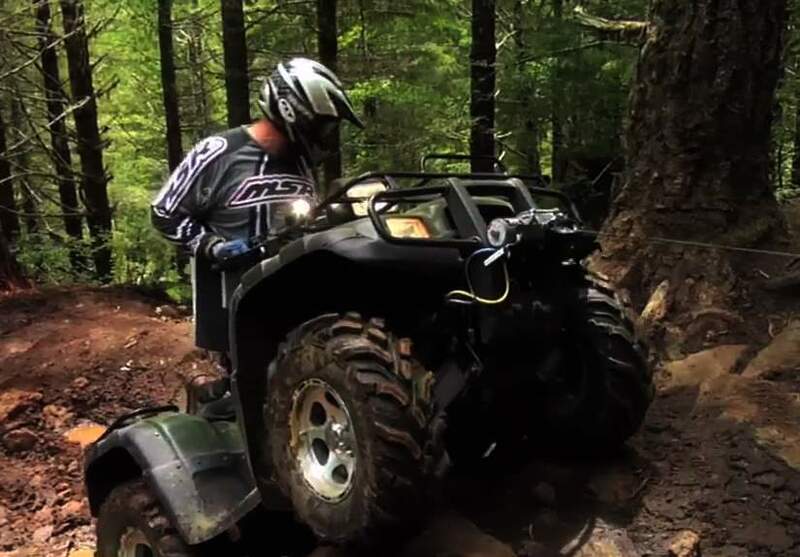 This is an excellent choice for UTV owners, who need a lot of power and reliability. The pulling capacity of 1814 kg and 15-meter cable together with the best-in-class performance will make it easy to pull any UTV. Switch for the dashboard and wired remote control included. 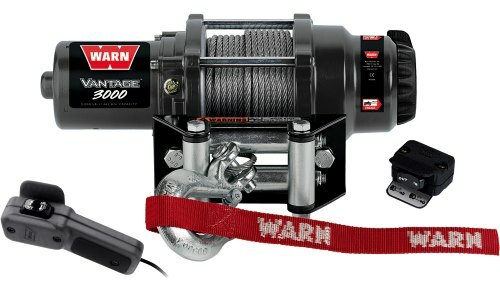 WARN Vantage winch series suits off-road lovers who want to get great quality and save money at the same time. According to the characteristics of Vantage winch models, they are able to provide you with the perfect off-road experience thanks to their great performance. 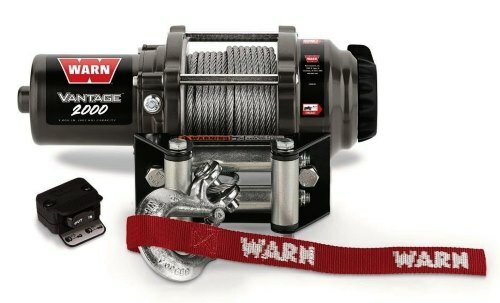 WARN winch series ProVantage (“King of the Hill”) includes winches with a pulling power from 2,500-4,500 lbs (1134kg to 2041kg). Winches of this series are produced both for light ATVs and heavy buggies. They are assembled from the best components and belong to the premium class winches. They are produced in 2 versions: with steel rope and synthetic rope. Also here you will find a wireless or a wired remote control. As for the series Vantage or the so-called “Workhorse with character”, winches of this series are suitable for both light and heavy ATVs, which require the pulling capacity from 2,000 to 4,000lbs (907kg – 1814kg). 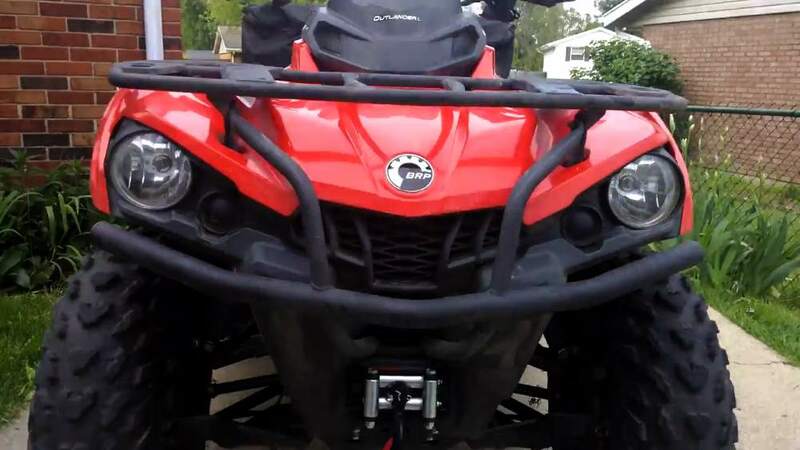 The kit includes either a steel or synthetic cable, but the control panel is present only in models 4000 and 4000-s that have been designed for heavy ATVs. 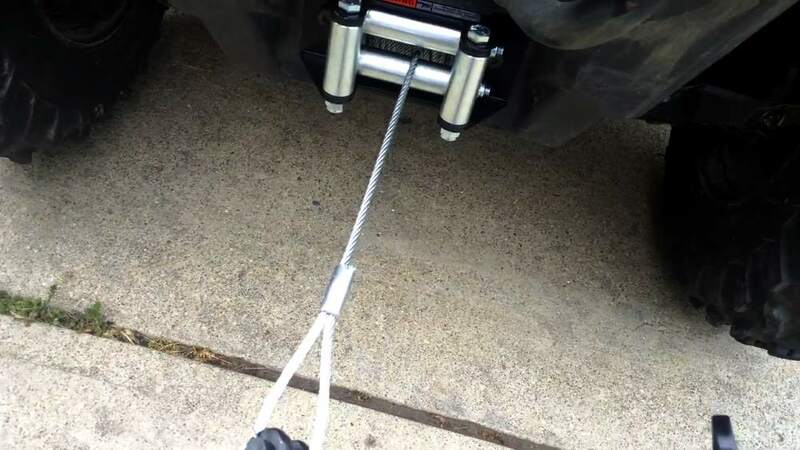 When to Buy ProVantage Winch? 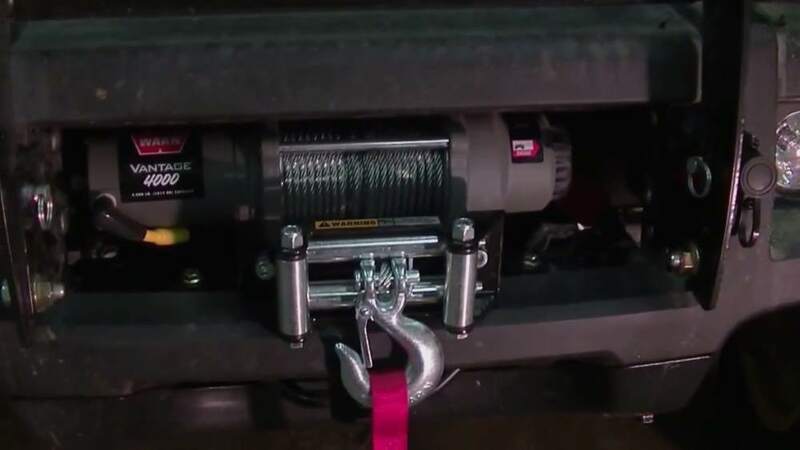 Are you looking for an ultimate winch for your vehicle? Then ProVantage is undoubtedly the best choice ever due to its top quality. 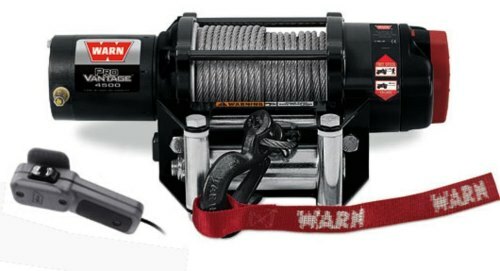 If you like premium class products, this WARN winch series will definitely satisfy all your needs. Buy one of the ProVantage winch models in case you want to get a top-notch quality winch for your ATV or Side x Side with the pulling capacity varying from 2,500 to 4,500 lbs. Winch models of this WARN line should be bought by enthusiasts looking for such winch qualities as the market-leading performance and durability in the combination with the unique styling. There are no such weather conditions that will prevent this winch series from pulling you out of any trouble. It doesn’t matter if you are just a casual user or an enthusiast, ProVantage winch models will be a great investment in your off-road experience. 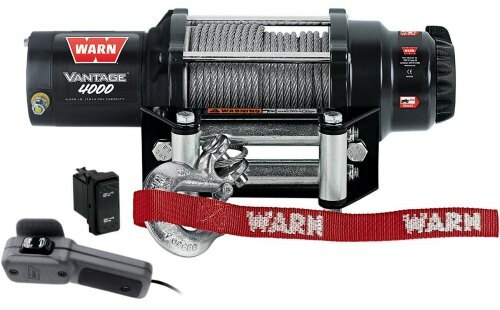 When to Buy Vantage Winch? It is a good idea to give preference to Vantage series if you want to purchase a high-quality device able to help you face a difficult situation. Vantage series present winches you can rely on. 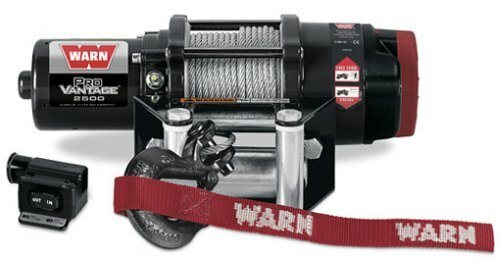 This WARN winches are for those who want to feel safe and save money at the same time as this series cost less compared to the premium ProVantage WARN series. 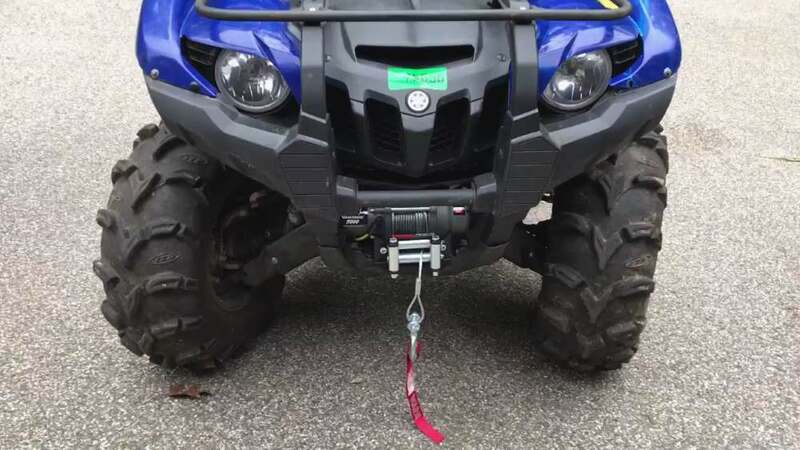 If pulling capacity 2,000-4,000 is enough for your ATV or Side x Side, then feel free from worries as this workhorse will offer you top performance at a reasonable price as the aim of this WARN winch series is to meet all your requirements as well as meeting a tight budget. 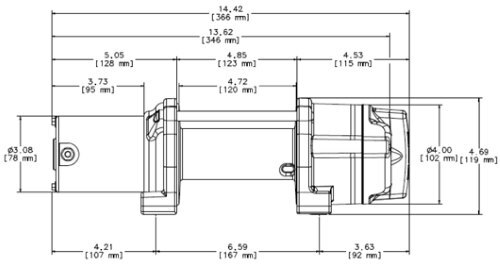 Solid lightweight construction of Vantage winches should be chosen if you want to get a compact powerful winch for your ATV.